Very Good. 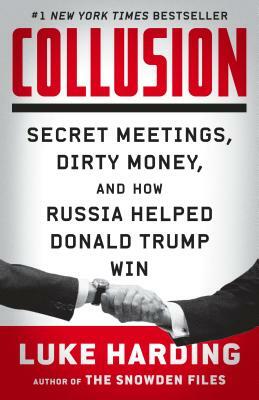 Collusion: Secret Meetings, Dirty Money, and How Russia Helped Donald Trump Win by Harding, Luke, 2017-11-16. Trade paperback (US). Glued binding. 368 p. Contains: Illustrations. Good. Ships from NJ, USA with Tracking. Wear to cover and edge wear; May have writing or highlighting; No missing or torn pages; Binding solid. 30-Day Satisfaction Guarantee.